He doesn’t have Eric Estrada teeth. Kinda yellow/greenish. I sat between him and Stanley Roberts at George’s while they ate 7 cheeseburgers apiece. And didn’t pay a dime. Shaq is actually a regular sized guy IRL. They just use camera tricks, low angles, standing him next to short people, construct undersized sets like LOTR, etc. If they turnaround I bet her arse is bigger. She can how give a blowie with the back of her head. Larry’s been hitting the cough syrup again. Shaq is a giant if you ever stand next to him. I am pretty big, walked by him at an LSU football game one time and he dwarfed me. Jesusgod Larry “Shaq is almost Jennifer Lopezs tall” WTF, English much? Jesus, she doesn't even have to get on her knees to blow him. you sound pretty excited for some reason. In case you were wondering, the waiters in this picture is Jennifer Lopezs tall. 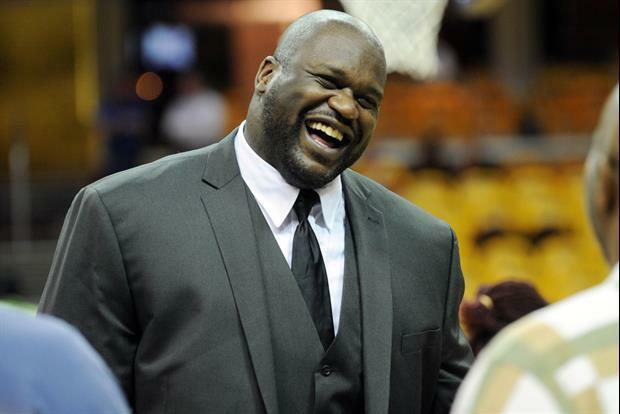 BREAKING NEWS FROM LARRY LEO: SHAQUILLE O'NEAL IS TALL! In a related story, Jennifer Lopez was split in half yesterday. "In case you were wondering, Shaquille O'Neal is almost Jennifer Lopezs tall..." Larry, you drunk? "I'd like the thank Joe for the support that he gave me..."